Unfold the West of Madeira amazing sceneries and most of the island endemic bird species: Trocaz Pigeon, Madeira Firecrest, Chaffinch, Berthelot's Pipit, Plain Swifts, Spectacled Warbler. A day birdwatching on the west of Madeira observing most of the island endemic bird species and unfolding amazing sceneries. Trocaz Pigeon, Madeira Firecrest, Berthelot’s Pipit, Atlantic Canary, Plain Swift, Madeira Chaffinch, Spectacled Warbler. West side of Madeira, from sea level up to 500 meters (1640 feet) of altitude, though the itinerary is dependent on weather conditions, so it may vary. Pick ups start around 9:00 and drop off is around 17:00. Check availability during your stay. 10 endemic bird species & subspecies of Madeira and Macaronesia. Visit different habitats: Laurel Forest, Coastal, Shrubland and Rivers. Bring a jacket for the altitude cooler temperatures, a hat, comfortable shoes for walking through some irregular terrain and a bottle of water. City centers of Machico, Santa Cruz, Caniço, Funchal, Cabo Girão and Ribeira Brava. As long as your hotel is not too difficult to access due to traffic, narrow roads or controlled entrance, pick up is at the hotel, otherwise it will be at a meeting point close by. For other locations, please contact us. This is the ideal birding tour to observe most of the endemic bird species and subspecies of Madeira but also a very nice way to visit non touristy areas of this lush green island in a comfortable way with very short and easy walks! 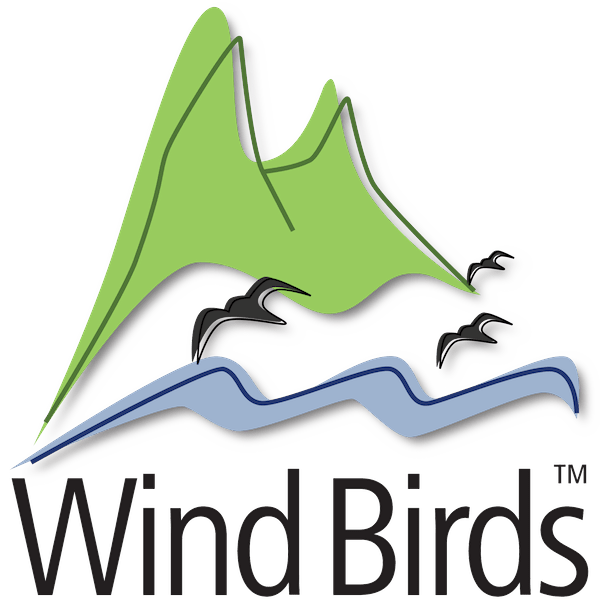 For more than 15 years we have been running Wind Birds company and this birding full-day tour has been adjusted to make the most out of it, allying a high number of endemic bird species with dazzling landscapes and nature experiences. Even non-birdwatchers have joined us and enjoyed it! Most of the morning is spent looking for the Madeira endemic land birds: Trocaz Pigeon Columba trocaz and Madeira Firecrest Regulus madeirensis. For this we go to the Northwest of Madeira, to a valley surrounded by the indigenous Laurel Forest and majestic mountains. It is also possible to observe the Macaronesian subspecies of Kestrel Falco tinnunculus canariensis and the Madeira subspecies of Chaffinch Fringilla coelebs maderensis and Grey Wagtail Motacilla cinerea schmitzi. If your holiday in Madeira is between April and mid-September, there is also the chance to see Roseate Terns Sterna dougallii and Pallid Swifts Apus pallidus during this birding tour. Lunch is usually in Porto Moniz, a good location to observe Atlantic Canary Serinus canaria and Yellow-legged gulls Larus michahellis. After a reenergizing three course meal we might do a little of seawatching, depending on the time of year, to try to spot Shearwaters and Petrels through our Swarovski telescope. Last stop is to look for any vagrant waders or ducks. Almost sure we will be welcomed by Common Moorhens Gallinula chloropus, Eurasian Coot Fulica atra, Muscovy ducks and Ruddy Turnstones Arenaria interpres. Sometimes we are lucky enough to find a rarity for Madeira, such as American birds: Sora Porzana carolina, Solitary Sandpiper Tringa solitaria, White-rumped Sandpiper Calidris fuscicollis, American Wigeon Anas americana, Green-winged Teal Anas carolinensis... some of them found during our birdwatching tours. Birdwatching tour with pick ups available at the city centres of Machico, Santa Cruz, Caniço, Funchal, Cabo Girão and Ribeira Brava.